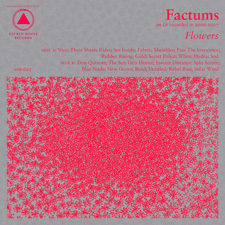 Last spring when this album was released it was easy to escape the pull of this haunting disc. Now, as the last leaves fall and the palette of midwestern life is reduced to lifeless grays and browns, the soothing ache of Absence & Time is nearly impossible to ignore. There’s a sparseness and detached cool to Lore City that’s really seductive, as well as the sustained atmospheric haze that weaves through the 8 tracks on this Chicago duo’s debut. 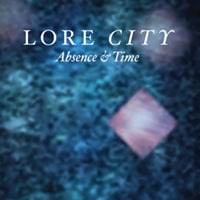 But there’s also an edge to what Lore City does that keeps them interestingly intense where most bands would be content to reflexively play by heart without pushing the envelope in any real way. With a monolithic, plodding pace that swells with occasional wave of exhilaration, Lore City has found a sound that fits somewhere between the preciousness of Zola Jesus, the warmth of Low and the severity of Swans. While the shock of Laura Mariposa’s haunting voice escalating to shrieking visceral growls is a bit unnerving, the deliberate manner by which they’ve inserted this texture into their sound gives Absence & Time depth and an experimental bite that refuses to be ignored.